Tamaryn’s Cranekiss is a pleasant surprise to bring in September with. It’s a total pop record, but not the kind of pop record you’re going to hear in heavy rotation with the likes of Drake, Taylor Swift, and Carly Rae Jespin. Not that it doesn’t belong along side those radio darlings. It’s just that Cranekiss is the kind of pop album you heard on the radio 30 years ago. It’s the perfect mix of pop sheen and gothic shadow. Songs lusty enough to get you on the dance floor, while also ruminating enough for a darkened bedroom listen while pondering life’s cruel eccentricities. This is a pop album for Winona Ryder’s Lydia Deetz. The album opens with the sparkling title track, a mix of Siouxie Sioux, The Cure, and T’Pau. It’s a big, spacious dance track that has enough atmosphere and nuance to give it some serious alternative street cred. “Hands All Over Me” is pretty self-explanatory. Tamaryn’s partner in music is Rex John Shelverton. He builds these sonic walls for Tamaryn to let loose on, and “Hands All Over Me” is a big, fun track. “Last” brings to mind The Motels with its longing and breathy vocals. This is the kind of song that would stick in my head all day after hearing it on the bus ride to school back in 1987. Pop songs you didn’t mind hearing, in-between the Rick Astleys and Taylor Daynes. “Collection” is a mix of modern day production values and old school alternative sounds. The bass is reminiscent of Head On The Door-era Cure, while Tamaryn’s layered vocals bring No Joy’s ethereal harmonies to mind. “Keep Calling” is a slow burn of a song. It’s a wonderful collection of somber bass and vocals with some old school, reverb-drenched percussion. This track is just as much shoegaze as it is Cocteau Twins-approved dream pop. While there is plenty to put this record in the pop section of your local record store(yes, those do still exist), there’s still plenty of darkness and sad-eyed, mascara running melancholy to put it somewhere between The Sisters of Mercy and This Mortal Coil. Tamaryn’s wonderful vocal delivery keeps the songs from going full maudlin. The one-two punch of “Softcore” and “Fade Away Slow” reminds us that the gap between pop and alternative really isn’t all that deep. 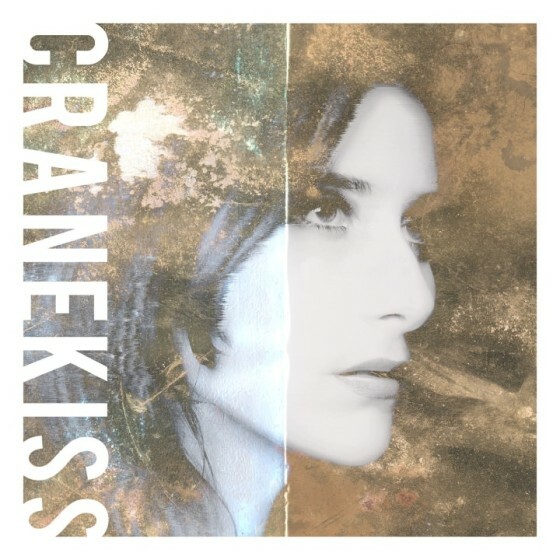 Cranekiss is a wonderful, enigmatic, and engaging record. Tamaryn and Rex Jon Shelverton have made an album that could very well appeal to a wide range of fickle listeners, if only they weren’t so damn fickle. If you grew up in the days of Siouxie Sioux, a skinnier Robert Smith, and a closeted love for pop and dance music, then Tamaryn’s Cranekiss will make your autumn days that much better. I reckon you could, too. T’Pau are a band you don’t hear name-checked often! I know! I’m pretty proud of that one. Or maybe I should be ashamed? Ehh, life is too short to be ashamed. Bring me my velvet loin cloth!